Experiments to determine the location and displacement of fluids in porous media are of high interest to verify flow and transport models. Neutron imaging presents, due to the high sensitivity to hydrogen, an ideal method to provide 3-D information about fluid distribution on the scale of a few tens of microns in a dense matrix of a sample container. We report instrumentation and method developments that increase spatial or temporal resolution, and demonstrate the performance in case studies. Different stages of soil removal, transfer, preparation and placement in laboratory plots cause significant changes in soil structure and, subsequently, the results of runoff, sediment concentration and soil loss. The increasing rates of runoff coefficient, sediment concentration and soil loss due to the study soil preparation method for laboratory soil erosion plots were 179, 183 and 1050 % (2.79, 2.83 and 11.50 times), respectively. We investigate in an innovative way the dynamics of radon emanation in a seismically active area. We analysed 3 years of data, collected during a long-term radon monitoring experiment. The complexity of the relationships among the investigated variables led us to consider the problem both from a phenomenological point of view and by means of original numerical analyses. Different approaches converge on the existence of a physical relation between soil radon emanation and seismicity. We present a new 3-D GPS velocity solution for 182 sites for the region encompassing the Western Alps, Pyrenees. The only significant horizontal deformation (0.2 mm/yr over a distance of 50 km) is a NNE–SSW extension in the western Pyrenees. In contrast, significant uplift rates up to 2 mm/yr occur in the Western Alps but not in the Pyrenees. A correlation between site elevations and fast uplift rates in the Western Alps suggests that part of this uplift is induced by postglacial rebound. Subsurface engineering relies on sparsely distributed data points of the stress state of the earth's crust. 3D geomechanical--numerical modelling is applied to estimate the stress state in the entire volume of a large area. 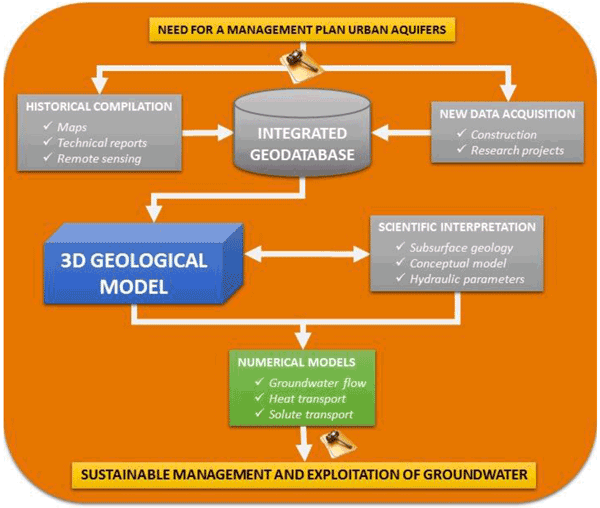 We present a multi-stage approach of differently sized models which provide the stress state in an area of interest derived from few and widely scattered data records. Furthermore we demonstrate the changes in reliability of the model depending on different input parameters. Here, we use tomography to reconstructed the pores of erupted pumice and understand the evolution of gas bubbles in magma. Analysis of the pore geometry is used to describe whether the pores where aligned by stretching as ascending magma is pulled apart (pure shear) or sheared like a deck of card (simple shear). We conclude that the latter, simple shear, dominates during magma ascent up to the points where magma fragments to cause an explosion. The paper focuses on the enhancement of the electromagnetic signal in the waveguide between the surface of the Earth and ionosphere. The ionosphere can facilitate the electromagnetic wave propagation, as if the detectability of the observing system is improved effectively, which makes it reasonable that sometimes electromagnetic signals are recorded at a seemingly unreasonable distance. About 200 years ago in 1815 Sir James Hall made his famous analogue experiments, which showed probably for the first time that natural folds in ductile rock are the result of a horizontal compression. If such rocks are extended, then the rock layers can thin only locally, which is a process termed necking, and the resulting structure is often termed pinch-and-swell. We review here theoretical and experimental results on folding and necking on all geological scales. The goal of this study is to test the effect of incorporating rotational ground motion data into finite-source inversions for different types of earthquakes. We run numerical simulations with and without rotation data and directly compare the results. They clearly suggest that seismological studies can benefit from the ability of seismometers to also measure rotational ground motions, especially for faults which also fracture in vertical direction. Subrosion is the subsurface leaching of soluble rocks. It is a global phenomenon and a geohazard in urban areas because it causes depressions and sinkholes. This is the case in the study area, the town of Bad Frankenhausen, in northern Thuringia, Germany. Using shear-wave seismic reflection we are able to image these structures at high resolution to a depth of ca. 100 m. We observe that the underground is strongly fractured and there are indications of cavities.